Valentine’s Day is just around the corner. 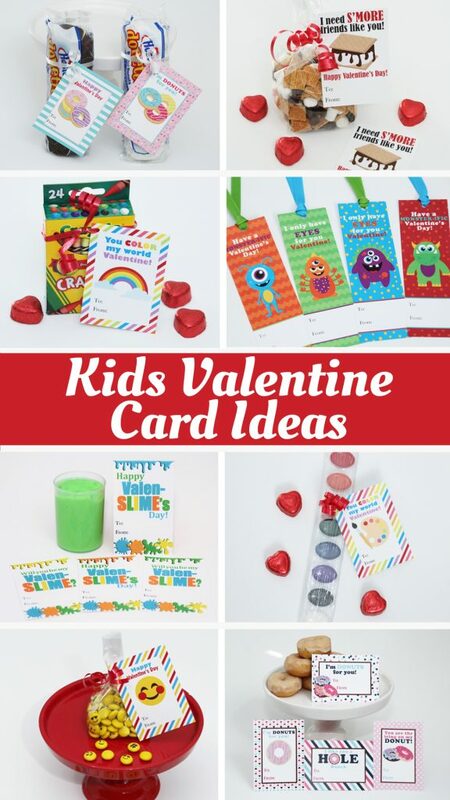 My kids are all excited to take Valentines cards to school to share with their friends. 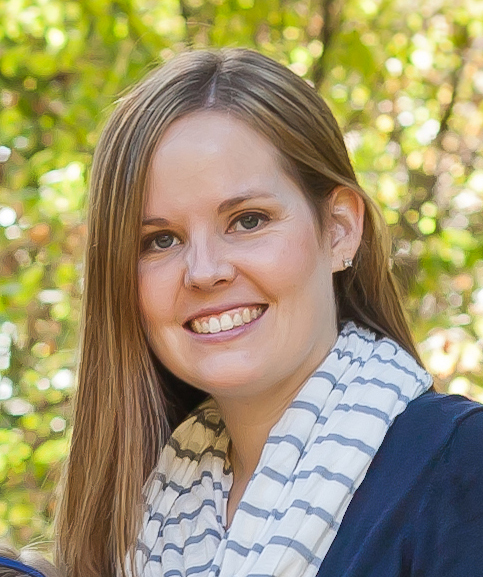 I have a few fun ideas to share with you. They all use my printable Valentines cads. 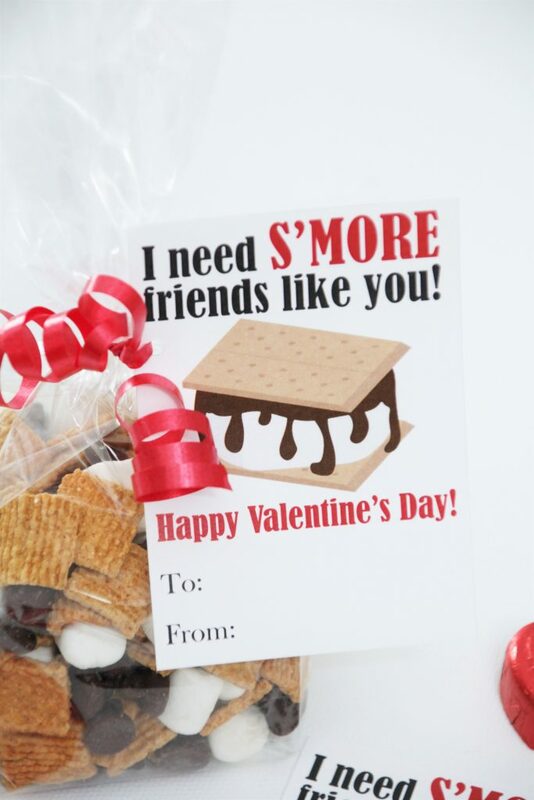 First are these sweet S’mores Valentines cards. 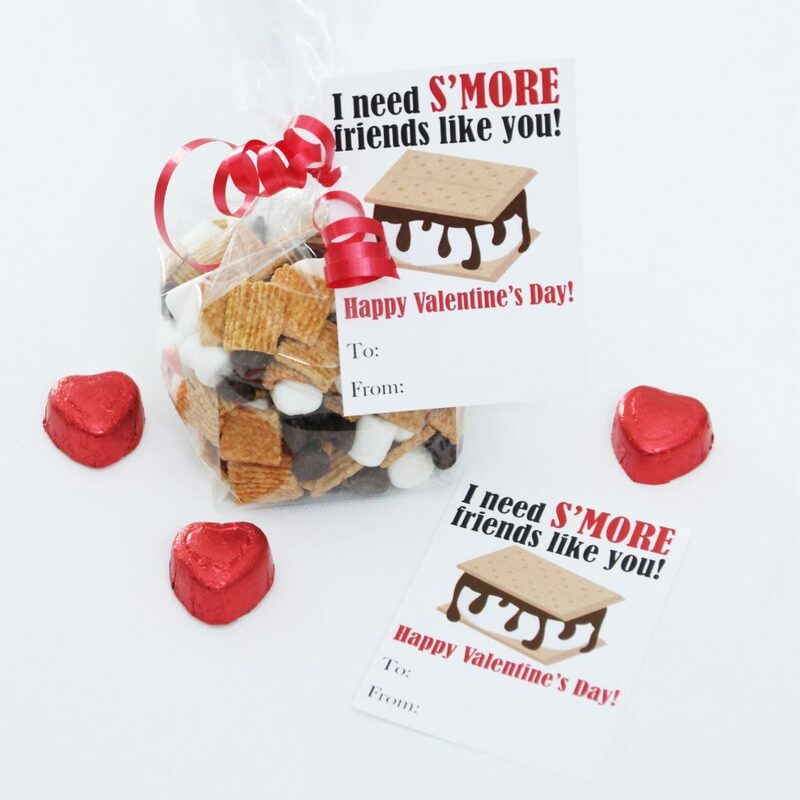 They are tied to a bag of s’mores trail mix of golden grahams, mini marshmallows, and chocolate chips. If your school requires store bought items we recently saw a golden grahams s’mores cereal bar. They would be a perfect substitution. Here is a non candy idea for you. Every kid loves crayons and you can always use a fresh new box. 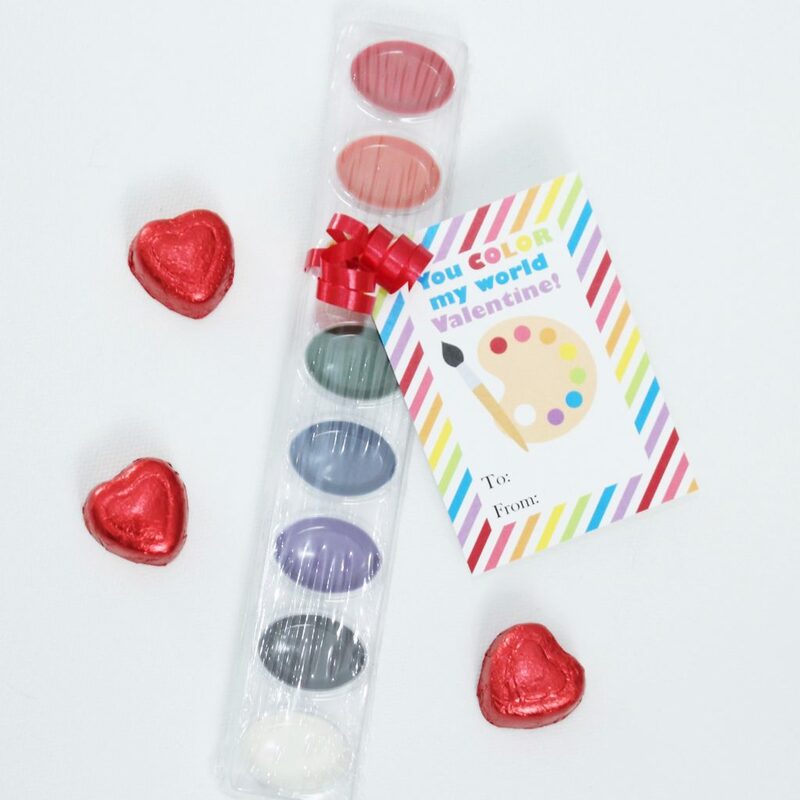 My rainbow “You COLOR my world” Valentines are the perfect addition. Here is another fun rainbow card with the same saying. The paint pallet image is perfect to tie them to a pack of watercolors. As a mom I love non candy treats. 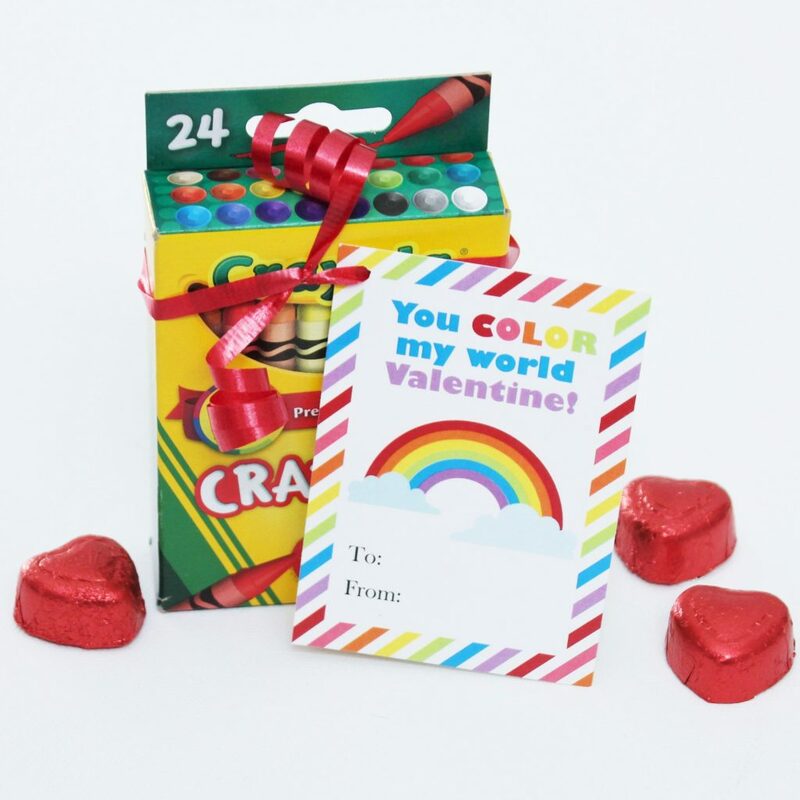 Of course if candy is your preference why not attach these art rainbow Valentines to a pack of skittles. Here is a Valentine card that is a gift all in one. Bookmarks! I offer several versions of bookmarks in my etsy shop. Just print them and tie a coordinating ribbon to the top. 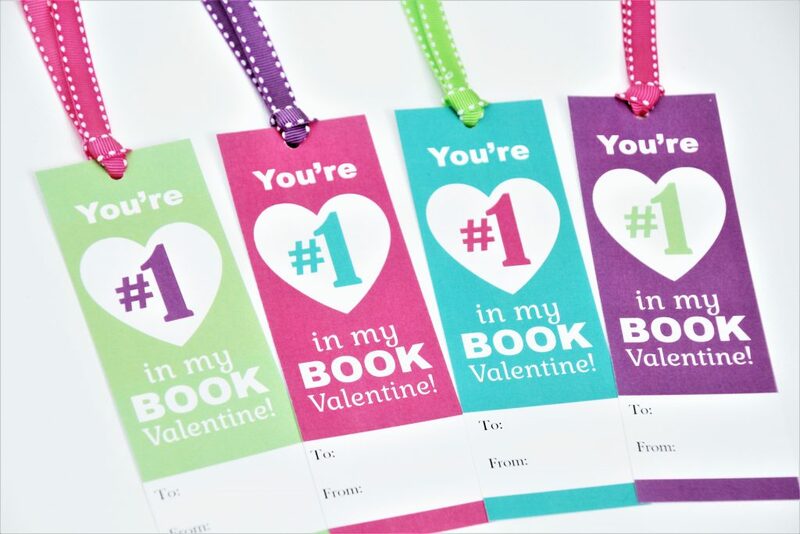 Every reader will love having one of these in their books. 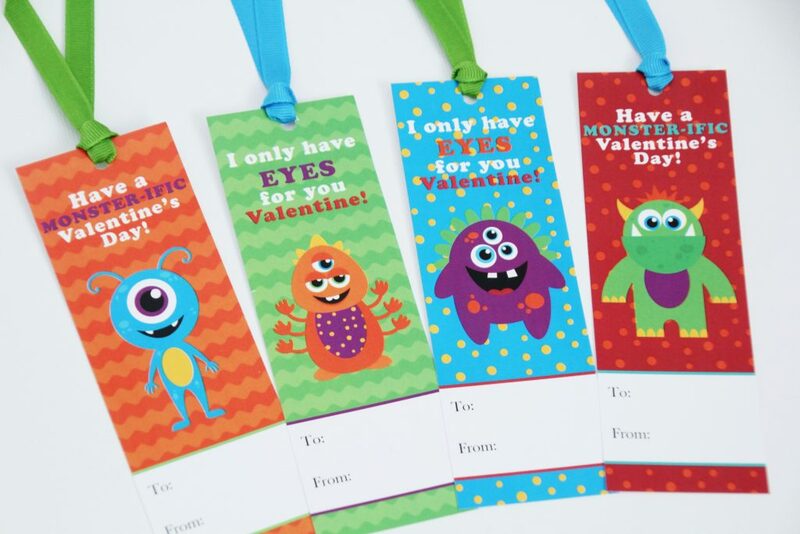 The first set is my monster bookmark Valentines. Perfect for boys or girls. Next is the #1 in my book Valentine. A great option for older kids. They come in these bright colors as well as a red version. DONUTS! Who doesn’t love donuts? 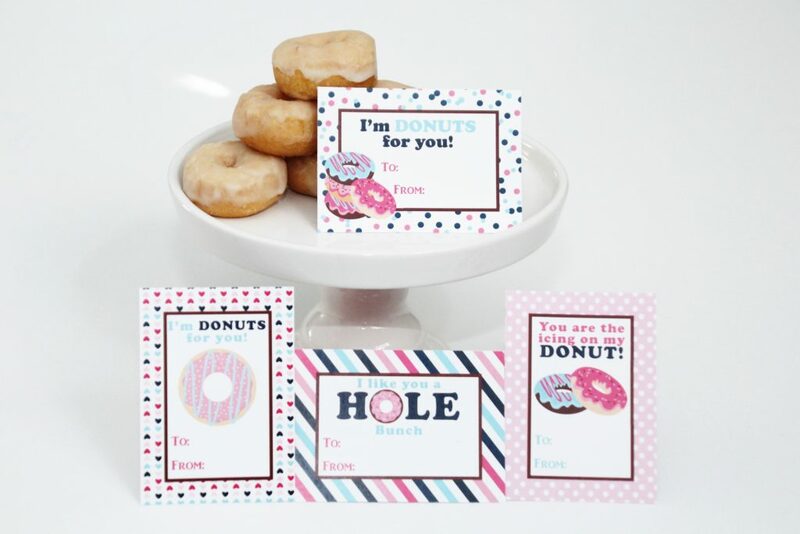 I offer several version of donut Valentines in my shop. 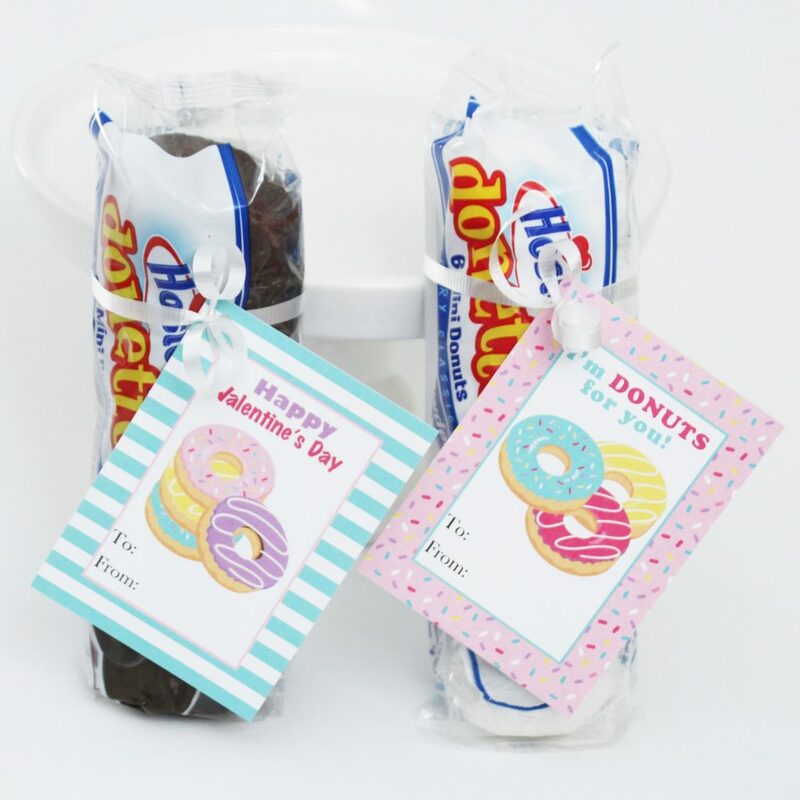 Tied to a pack of mini donuts is such a yummy treat. 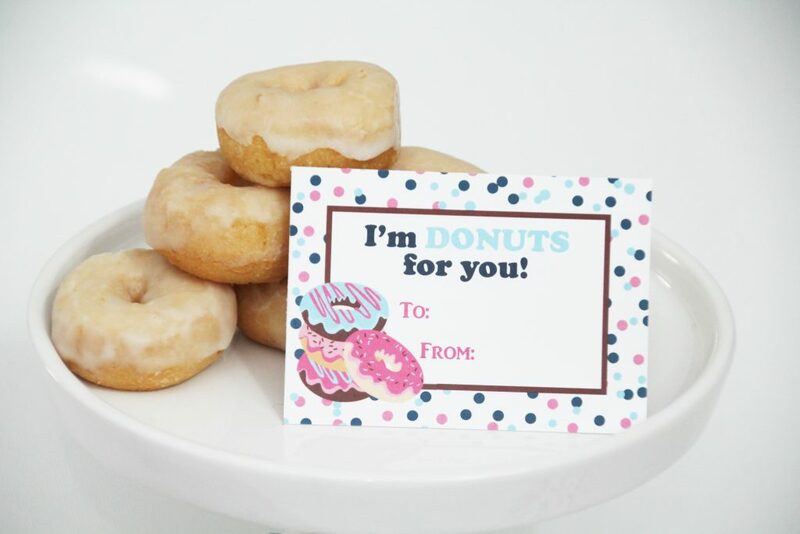 This donut Valentine set is offered in multiple colors in my etsy shop. Are your kids OBSESSED with slime? Mine cannot get enough of this stuff. 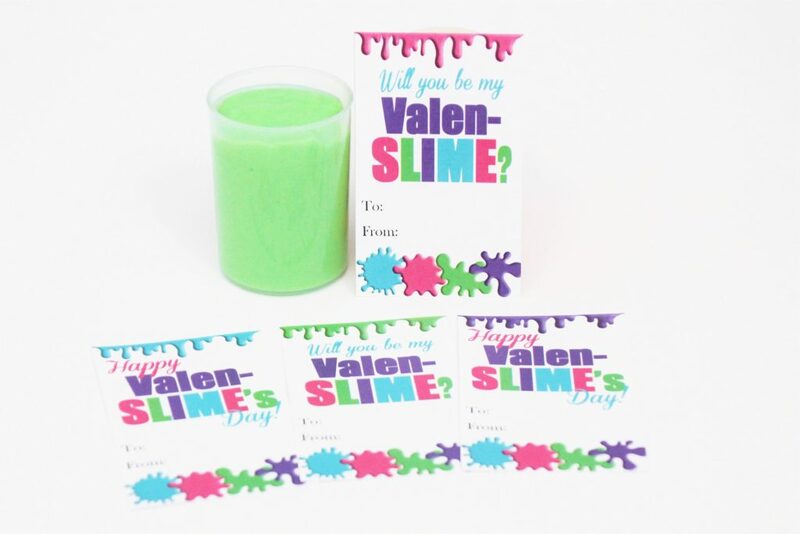 My newest addition this year is these Valen-Slime’s Day cards. Available in 2 color combos. 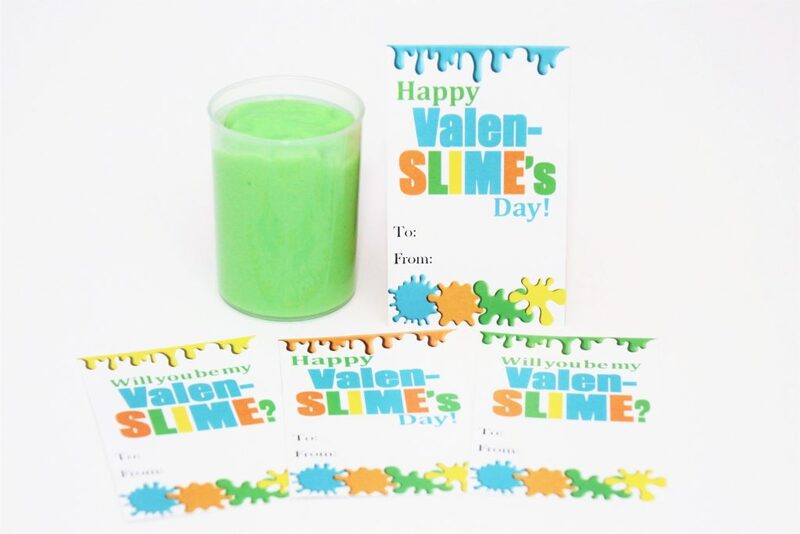 Attach a container or bag of slime to them and your kids will be the most popular in class! 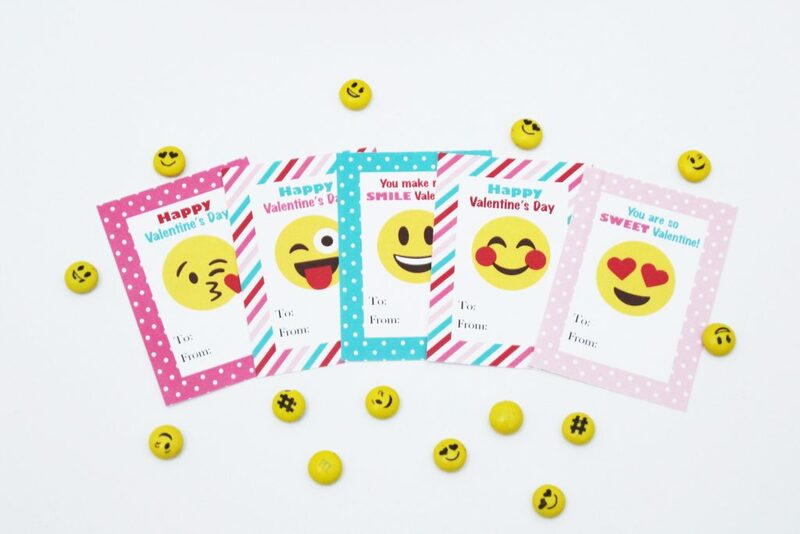 My emoji Valentine’s are my most popular seller. Every one of my kids from my 4yr old to my 12 yr old love anything emoji. 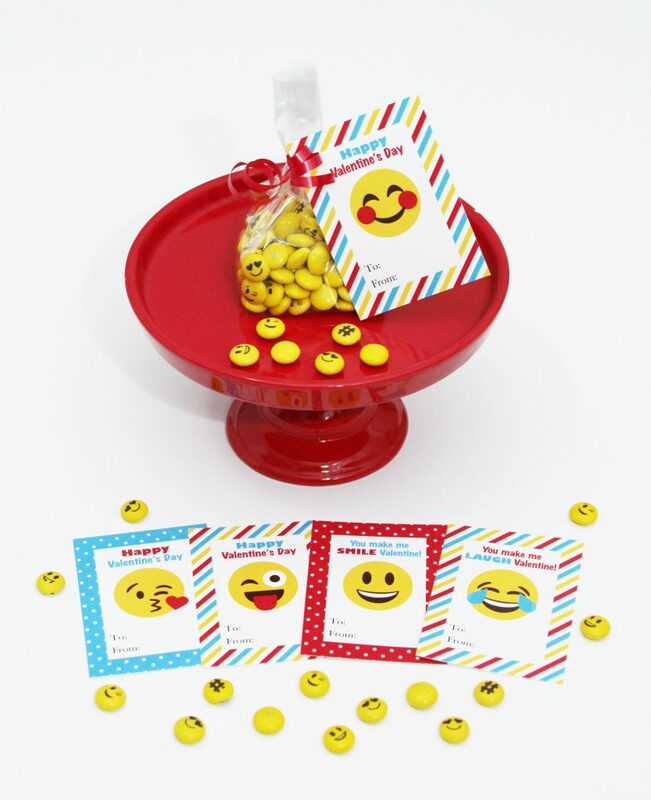 I found these adorable emoji m&ms at Target. They are so cute!!! I want to eat them all up. 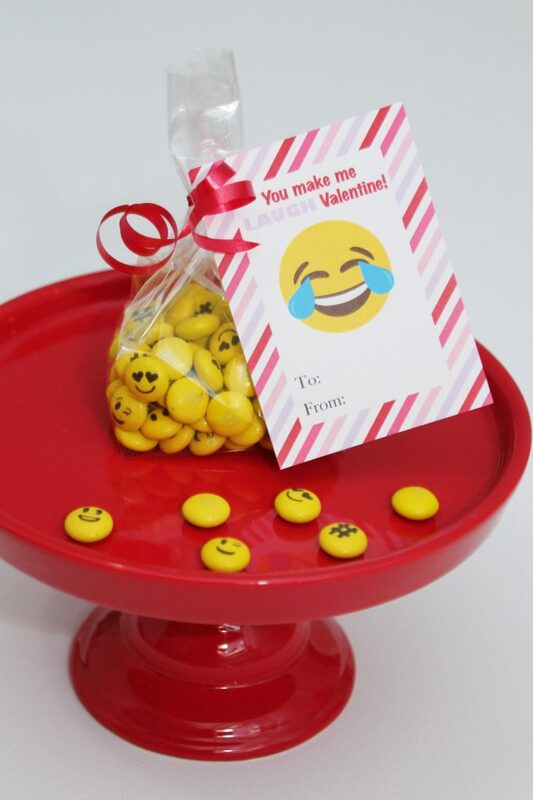 I offer these emoji Valentines in multiple colors for boys and girls. Last is the popular unicorn Valentine. 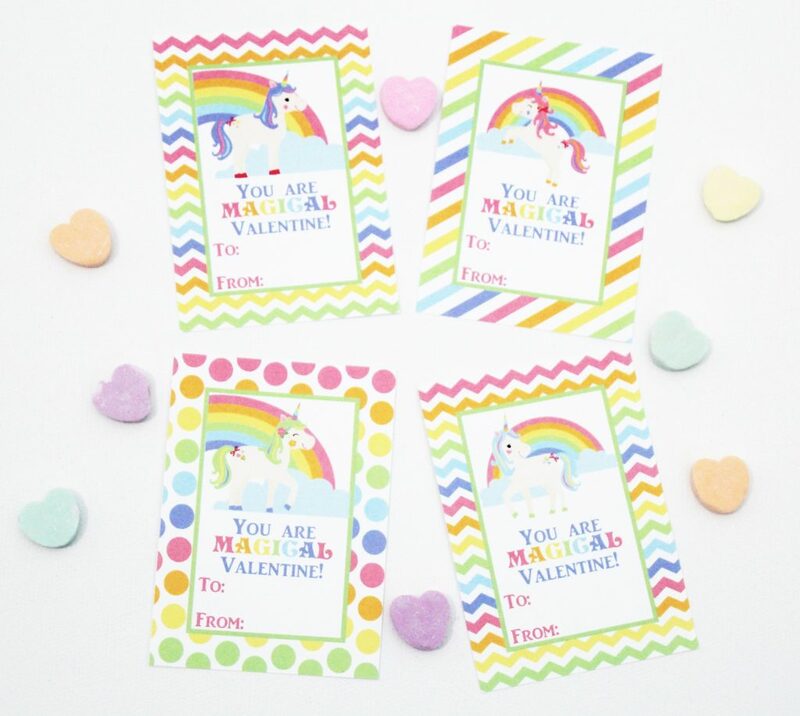 These printable cards feature pastel rainbow backgrounds. A box of classic conversation hearts is the sweetest rainbow treat to go with them. 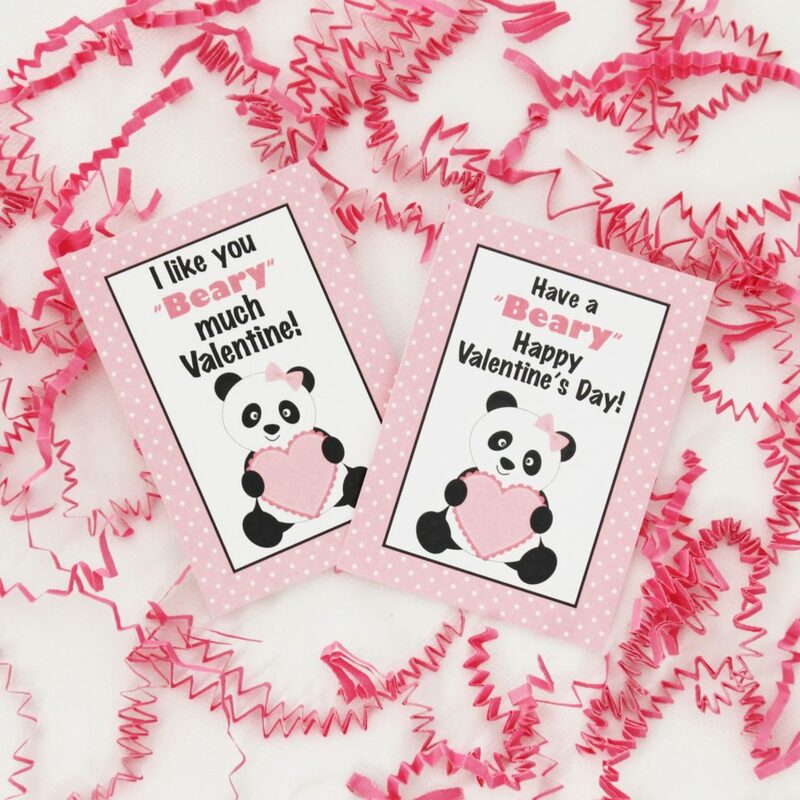 I have LOTS more printable Valentines cards in my etsy shop for boys and girls in many themes. Race cars, dinosaurs, mermaids, puppies, dump trucks and more. Go check them out for more ideas. Download, print, cut, and pass out to friends. I hope all of your kids have a wonderful Valentine’s Day!